All activities for this event will be hosted in the upstairs ballrooms accessible from the main staircase and adjacent elevator. This event is open to the public and is free to attend. $150.00 (+GST) for Chamber Members. 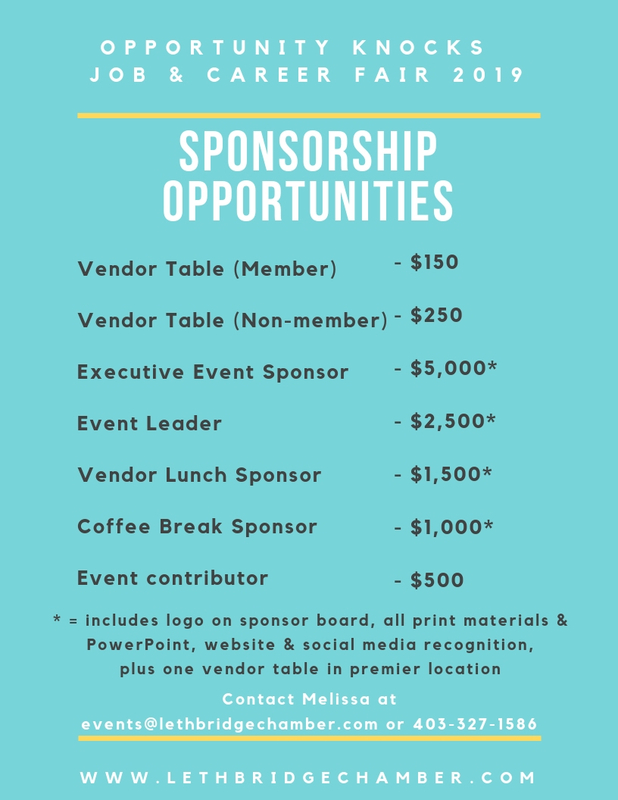 Sponsorships are also available! Contact us for more information. Welcome to the Seventh Annual Opportunity Knocks Job and Career Fair! Are you an employer in and around Lethbridge looking for employees? Maybe you are interested in career opportunities in Southern Alberta? Well, this is the place for you! This annual event brings together employers and job seekers in a mutual location to aid in the achievement of a job and/or career. Open to job seekers from all walks of life, this event is an inclusive arena for all. 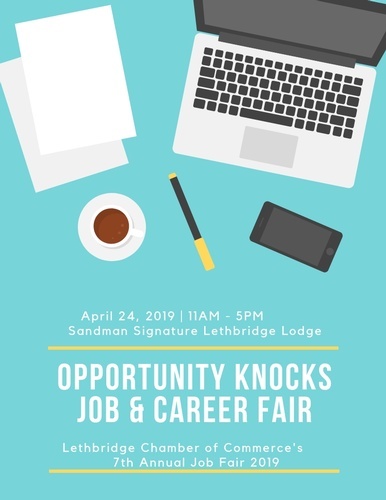 With more than 6,000 previous attendees, Opportunity Knocks is the premier job and Career fair for all Southern Albertans.